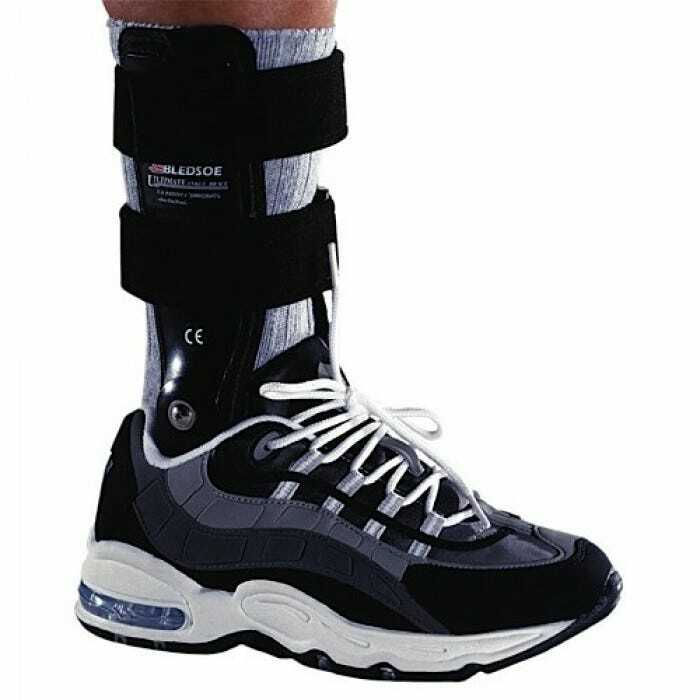 The Bledsoe Ultimate Ankle Brace is made of aerospace super alloy aluminum, and features exceptional control for chronic ankle instabilities or early rehabilitation of acute ankle sprains where ankle plantar-flexion and dorsi-flexion is permissible. The Bledsoe Ultimate Ankle brace is a functional ankle brace unlike any on the market. The Ultimate Ankle Brace features unbelievable control for chronic ankle instabilities, and is ideal early rehab of acute ankle sprains. 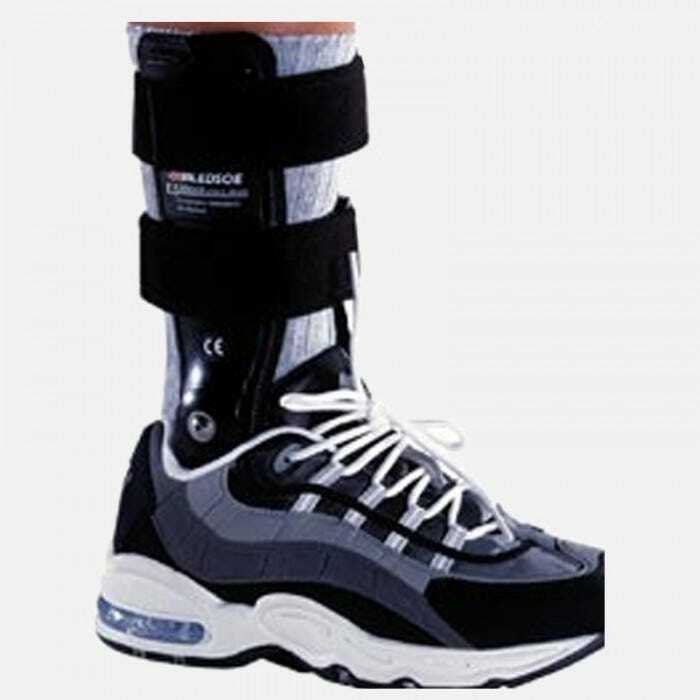 The brace fits under the innersole of the shoe to permit the shoe to control the foot, while the remainder of the brace controls the lower leg. Inversion and eversion control are maximized without restricting ankle plantar-flexion or dorsi-flexion. 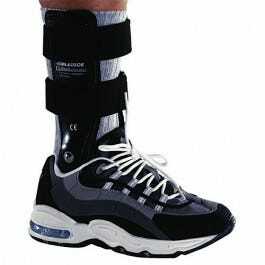 Anchors to the shoe to permit the shoe to control the foot, while the remainder of the brace controls the lower leg. It can be quickly removed and changed to another shoe. Lightweight, ultra-strong construction is adjustable for width and position in the shoe. The entire brace can be disassembled and the wear components changed for a long life. Hook and loop pieces anchor the brace to the bottom of the shoe.